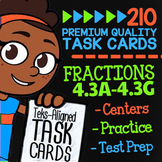 Practice math problems similar to the PARCC content and format. 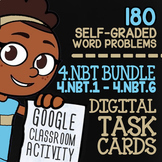 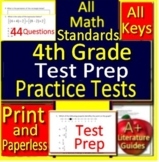 Covers all of the math standards that 4th Graders need to know for the PARCC. 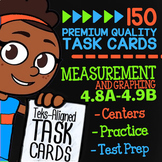 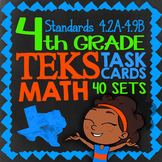 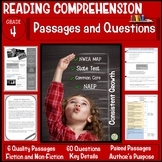 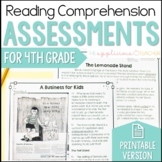 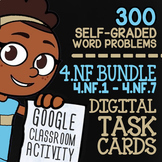 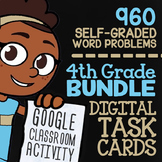 Provide rich, common core aligned practice for your 4th grade students before state testing! 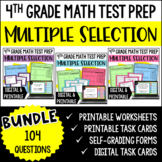 48 questions focusing on key skills such as cause/effect, figurative language, point of view, theme, and 12 others are set up in an 8 box format on 2 sided review sheets. 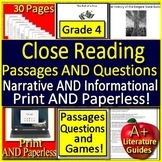 Answer keys are provided for all. 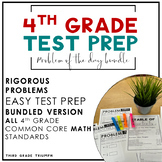 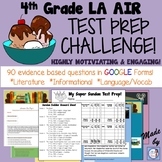 Also included in: 4th Grade Test Prep Bundle: Aligned to the AIR state tests!